We believe that our buildings are fundamentally energy efficient and that further efficiencies will be achieved as an outgrowth of learning from review of Periscope’s dashboard viewlets and utility bills. 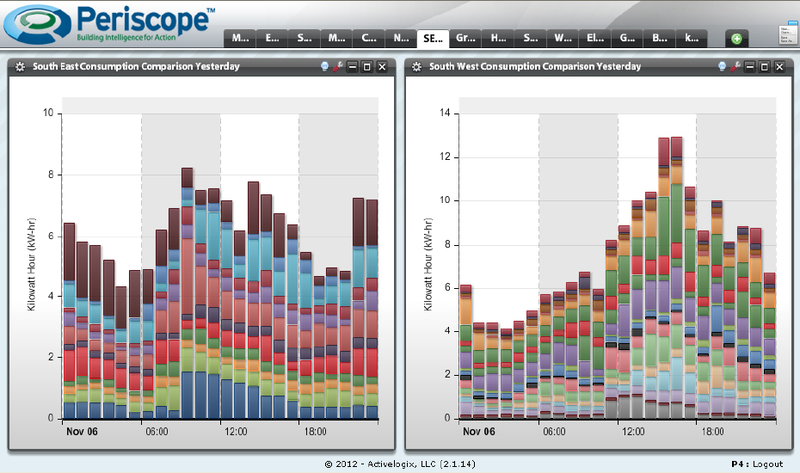 The viewlets allow us to see how the building is using energy and the utility bills distinguish between cost and fuel. Although we’re only a just beginning to review performance, several areas of opportunity have surfaced and we’re confident even more will. 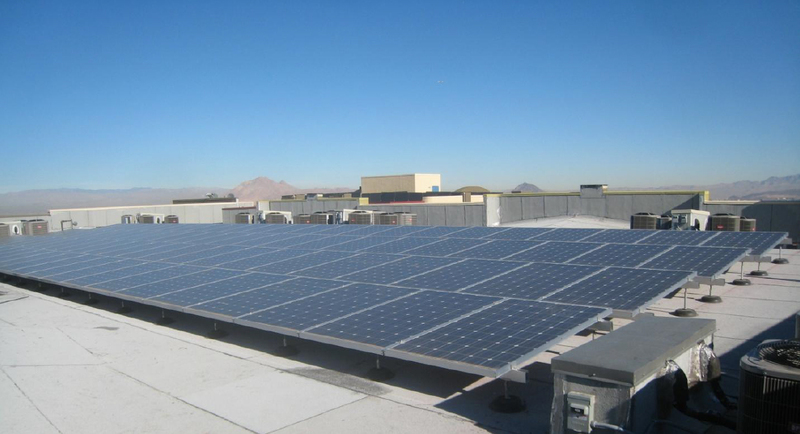 Top down energy modeling was performed by EXP engineering of Las Vegas, Nevada. 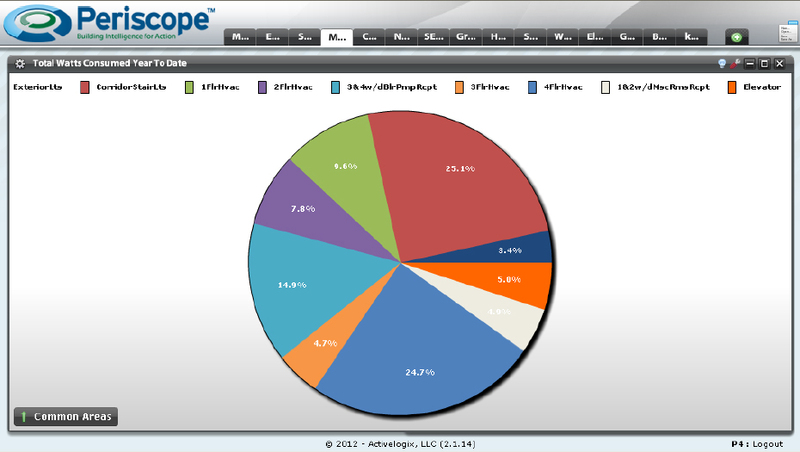 Bottom up data collection and dashboard development was done by Activelogix of Charlotte, North Carolina. Combining both approaches has given us the opportunity to implement engineering knowledge and builder best practices. Challenge: Analyze existing data to determine the best solutions moving forward with new construction. As the owner of many buildings, the Nevada Hand company was acutely aware of energy costs and their impact on operational expenses. With the cost of electricity continuing to go up and natural gas currently stable, this is a line item expense that should be managed. With the construction of two new properties, the firm had an opportunity to select the best of breed equipment, technologies and materials to ensure that resulting operational efficiencies in these multi-million dollar projects were the best attainable. • Learn Building Dynamics – Understanding energy efficiency begins with learning how a building consumes energy and then taking steps to reduce, manage, and produce where practical. • Employ Best-in-Class Design & Equipment – Reducing energy usage can be accomplished with two basic steps: design an energy efficient building with respect to heat loss and gain & install the most efficient products that can be afforded. • Manage Energy Use – Managing energy usage is achieved by controlling when and how much is used. Passive devices such as programmable thermostats, occupancy sensors, and time clocks are very effective. Educating staff and residents is also a key part of conservation. • Use Sustainable Techniques – Producing energy is achieved mostly by photovoltaic modules and hot water thermal collectors. Photovoltaic arrays are simple but their cost effectiveness is based on subsidies in the form of utility rebates and tax credits. Solar hot water technology is complicated, but it can be integrated into both domestic (potable) and non-domestic (space heating) systems. • Analyze Results – Energy modeling can be used as a top down approach to predict how much will be used and by which building elements. Data collection and analysis can be used as a bottom up approach to see actual usage. Combining both approaches will provide the most overall benefit towards energy efficient design and operation. For the data analysis and visualization capability, Nevada HAND selected Periscope™ by Activelogix due to its ability to provide unique and user-configurable dashboards for every element of the equipment and building performance, including time-selectable comparisons over a wide range of variables. • Analysis of individual Apartment Consumption resulted in optimal changes to control strategies. • Review of common area lighting identified a change the corridor lighting area that would significantly reduce power consumption. • Discovery of an abnormality in the photovoltaic systems indicated a maintenance problem that needed attention. • Analysis of true contribution benefits of solar thermal hot water in their climate proved lower than expected. • Statistical bracketing of individual apartment electrical usage provided a sense of what is “reasonable” consumption, leading to better resident education to play a part in conservation. • Analysis of water consumption helped differentiate between new, re-circulated, and irrigation water usage. The viewlet above shows individual apartment electric consumption hourly for one day. Initial observations left us fascinated by the usage variances. From our perspective, understanding the usage variations between apartments would be a precursor to any controls modification. The viewlet above shows the common area electricity use. These percentages will vary throughout the year due to seasonal changes. A years’ worth of data from several buildings will show us where opportunities exist to reduce consumption. Pacific Pines Phase 4 (P4) is located in Henderson, Nevada. This four story building is comprised of 62 senior apartments. The 67,825 ft² building was completed in 2012 after eleven months of construction. Of the building’s total footage, 45,544 ft² is conditioned (heated and cooled) apartment; 16,596 ft² of conditioned common area consisting of corridors and amenity rooms; the balance being unconditioned (not heated or cooled) space including exterior balconies and closets. The property location has an elevation of 1,934’ above sea level. Decatur Pines Phase 2 (D2) is located in Las Vegas, Nevada. This three story building is comprised of 75 senior apartments. The 79,100 ft² building was completed in 2012 after nine months of construction. Of the building’s total footage, 54,750 ft² is conditioned apartment, with 24,750 ft² of conditioned common area consisting of corridors and amenity rooms, and the balance being unconditioned space including exterior balconies and closets. The property location has an elevation of 2,304’ above sea level. 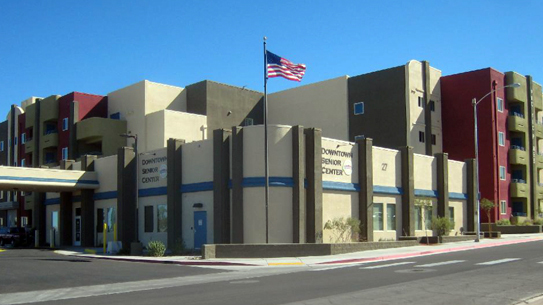 Formed in 1993, Nevada HAND is a non-profit corporation with the mission to improve the lives of low-income individuals by providing affordable housing solutions and supportive services. In pursuit of this mission, Nevada HAND has grown into a full service real estate development company with the ability to design, develop, finance, construct, and manage affordable housing either for sale or rent. We currently own and/or operate over 3,100 housing units in more than 30 affordable properties.